This small wooden key holder is very helpful in keeping keys in an organized manner. The key holders are three in number and are fixed Read More..on the bottom of the border of the holder. 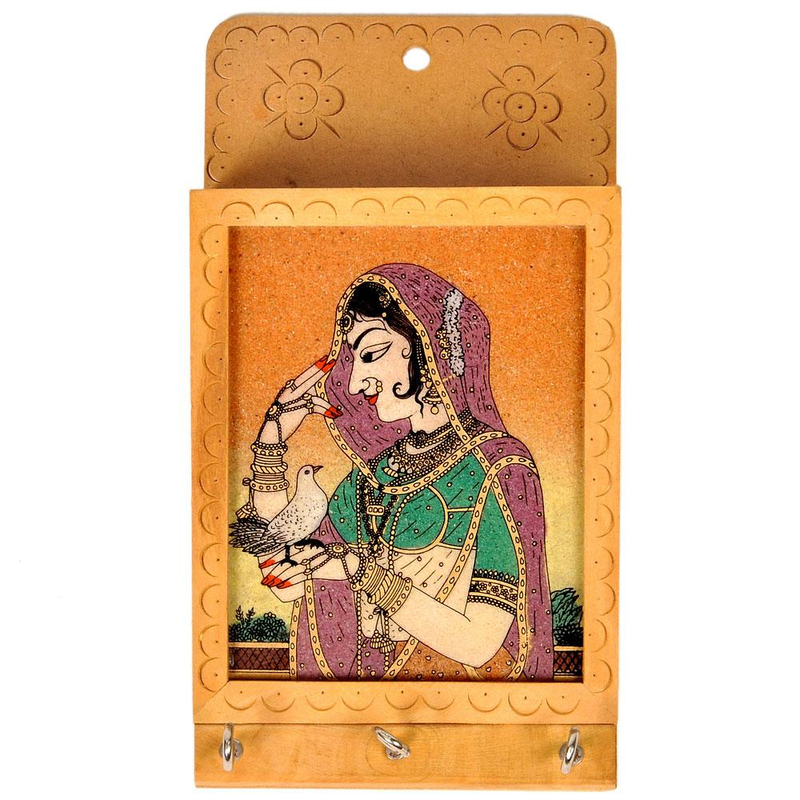 It can be placed as a wall hanging with an image of a women painted inside the box without any lid. This holder takes little space and adds to the beauty of the place. The gemstone painting further aggravates the beauty. Show Less..